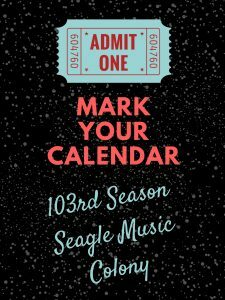 It’s going to be a short blog post this month, because we’re too busy counting down the days until Seagle Music Colony’s 103rd Season kicks off! Hold on to your hats and playbills, another exciting summer on the hill is coming your way. You might have already read about this summer’s mainstage shows (here, here, and here) BUT for those Seagle super-fans out there, there are some more events you NEED to know about! 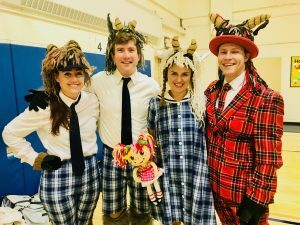 We will once again produce a touring children’s opera – this year’s selection is John Davies’ Billy Goats Gruff. Four young artists and one pianist will present this delightful story featuring music of Mozart, Donizetti, and Rossini that shares an important lesson about the perils of bullying. You can catch this opera in Schroon Lake at the Boathouse or in select locations throughout the North Country. See here for more info on performance dates and locations. Great for “kids” of all ages! Wednesday, July 4th: Independence Day! Need we say more? Our artists will walk in the town parade, and you can hear them sing patriotic tunes at the grandstand by the Schroon Lake Town Beach just before sunset. Saturday, July 14th: If you want to get gussied up and party the night away Gatsby-style, then join us for our annual gala! Featuring a three-course meal, silent auction, live music, and dancing, it’s sure to be a delectable evening. 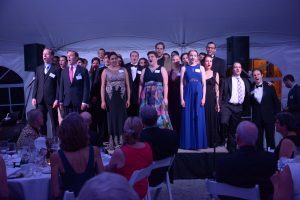 Friday, July 27th: As part of a new tradition, the Seagle Music Colony Alumni Association will be presenting an Alumni Concert at the Boathouse on Schroon Lake at 8pm. You won’t want to miss this concert featuring some of our successful alumni and proceeds for the night will benefit the Alumni Scholarship Fund – it’s a win-win! Sunday, August 12th and 19th: One of Seagle’s longest running musical traditions, our Sunday afternoon Vespers are a wonderfully meditative way to enjoy the end of a summer weekend in Schroon Lake. 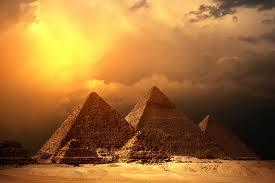 Our emerging artists share sacred music selections and the audience is invited to sing along with favorite hymns. That’s all for this month, friends. You can always visit the 2018 Season page for more information. See you (so very soon…12 days til the first performance, but who’s counting?) on Charley Hill! The lake has (finally) thawed, spring is in the air, and this summer’s army of admins, designers, crew, technical staff, and singers will be arriving before we know it. We’re very excited to get the summer 2018 season started but WAIT! There are 2 more shows we want you to get excited about before June rolls around: Leonard Bernstein’s tongue-in-cheek operetta Candide and Jerry Herman’s classic American musical Mame. As you might know, 2018 marks the 100th anniversary of Leonard Bernstein’s birth. Bernstein is arguably one of America’s most celebrated and beloved composers, and nearly every major opera, orchestra, and young artist program is performing one or more of his works in tribute. Here at Seagle, Bernstein’s daring European pastiche Candide will open our 2018 season. With a rousing story that travels all over the world (both geographically and musically), audiences are sure to recognize Bernstein’s melodies and chuckle at the hilarity and surprising relatability of the story. French satirist Voltaire wrote the original novella, but much of his humor would feel right at home in a Monty-Python-esque comedy. Bernstein’s son Jamie noted that the work is often referred to as Bernstein’s valentine to Europe because of the way he affectionately raided every European song and dance form he could think of in the process of composing the music. The music is chock full of crowd pleasers – the soprano showstopper “Glitter and Be Gay” requires a deft combination of comic acting and technical finesse with high notes for days, while the closing ensemble “Make Our Garden Grow” is just loud enough and just sincere enough it *just* might restore a little bit of your faith in humanity. 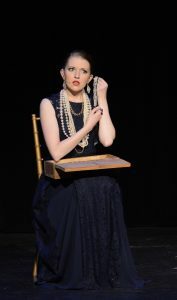 You may have heard this number at the Patrice Munsel Gala back in 2016 – don’t be surprised if it makes a comeback this season both on the Oscar Seagle Memorial Stage and off. This summer, Seagle Music Colony is presenting its first-ever Baroque opera, Handel’s Giulio Cesare in Egitto (Julius Caesar in Egypt). More commonly known simply as Giulio Cesare (Julius Caesar), this Italian opera seria was composed when Handel was living in England. The opera was incredibly well received at its London premiere in 1724 and saw three revivals in England as well as productions in France and Germany during Handel’s lifetime alone. Fun fact: the music was so popular that after its premiere, Handel had the vocal score printed in pocket-size form for enthusiastic opera goers to purchase – a brilliant composer and a smart businessman to boot! Things have, shall we say, changed a bit since Handel’s time. While Baroque opera isn’t mounted with as much frequency as say, Puccini, Giulio Cesare is still performed often in the US. 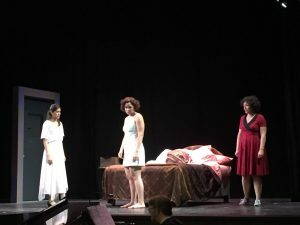 Baroque opera sometimes feels like a hard sell – some listeners might argue that the stories are ancient and irrelevant, the music is repetitive, or the Italian language is hard to understand. Well folks – we’re here to tell you this simply isn’t true.